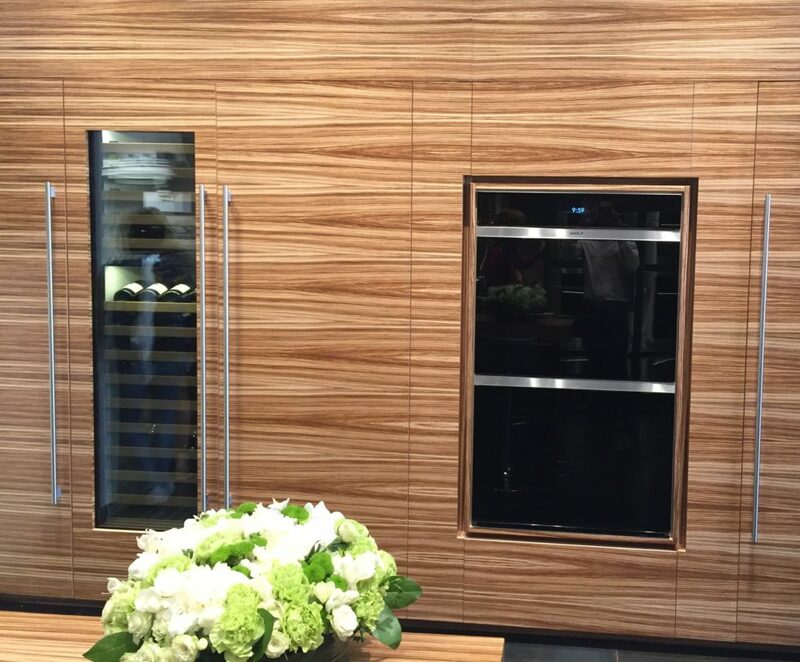 McCarron & Co were lucky enough to be invited to the official summer opening of the new Sub-Zero Wolf showroom in Cannes, and it wasn’t difficult to accept the opportunity to nip down to the South of France for this prestigious event! McCarron & Co played a major part in the refurbishment of the showroom, designing, supplying and fitting all of the displays which act as a backdrop to showcase the highly desirable mix of cooking and cooling appliances, so we were eager to see how it all looked and to gauge the public reaction. Following a short flight to Nice and a quick journey into Cannes, it was time to start the long stroll along Rue d’Antibes in the direction of our destination for the evening. With a population of just under 77,000, Cannes is a city on the French Riviera that certainly isn’t afraid to wear its wealth on its sleeve and you certainly get the impression that pretty deep pockets are required if you intend to take in the many boutiques and stay at one of the lavish hotels. 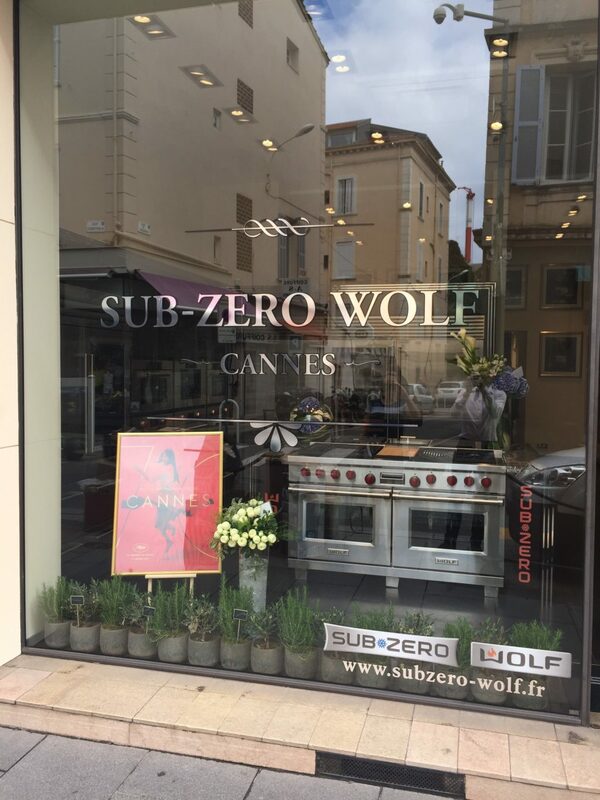 The mission for us was to avoid any temptation to spend and head straight to the end of Rue d’Antibes to the Sub-Zero Wolf showroom, where canapes and champagne awaited us! Actually, as well as canapes, we were treated to delicious mini steak burgers, cooked before our eyes on Wolf barbecues in a special courtyard area. It’s easy to imagine every single garden on the French Riviera having a Wolf barbecue, as I think most people could afford one and they would certainly get good use from it with the unrelenting sunshine. The term barbecue does it an injustice though, because what you are actually buying is a range cooker for the outside! Making our way through the showroom, we were staggered by the sheer amount of people in attendance. Charlotte, showroom manager, revealed later that 200 invitations were sent out, of which 150 people replied, but then the other 50 that didn’t reply still turned up! It was quite obviously the event to go to, and Craig Davies, Managing Director, had lined up a 4 piece New York Jazz band which further enhanced the relaxed, fun atmosphere, which was clearly being enjoyed by all. One particular lady appeared to enjoy the fine hospitality more than others and at one stage we were all treated to an impromptu lesson in how to dance in a fairly wild and abstract fashion whilst narrowly avoiding champagne sipping guests and injury through range cookers! For those that had missed the initial display, there was a second performance to be enjoyed later on in the evening, with another unsuspecting gentleman selected to partner her. Comedy value aside, it made you realise how well the showroom worked as a venue, and having the exterior courtyard area only added to this. The drinks flowed and the scrumptious mini burgers were continuously replenished up to the midnight hour when, finally, the party began to wind down – or so we thought……apparently the more hardened party goers just relocated to the courtyard to enjoy their own private audience with the jazz band! The following morning after a relaxed breakfast, we made the walk back along Rue d’Antibes to spend some time with the Cannes team, especially showroom manager Charlotte. It was clear that there had so far been a fantastic response to our bespoke fitted furniture, and although it seems strange in such an affluent part of the world, the options to purchase such a product are pretty much non-existent, with local kitchen showrooms exhibiting the kind of generic furniture that can be bought almost anywhere in Europe. With this in mind there really does seem to be a market for us and partnering with Wolf Sub-Zero in such a fantastic region, could prove very fruitful in the coming years. 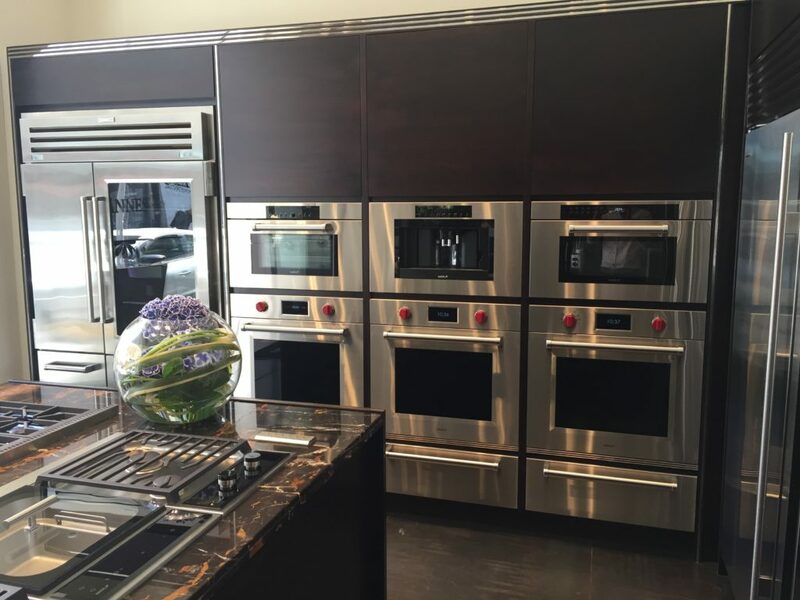 First and foremost, this is an appliance showroom, and it’s quite staggering just how many Sub-Zero and Wolf appliances are on view. 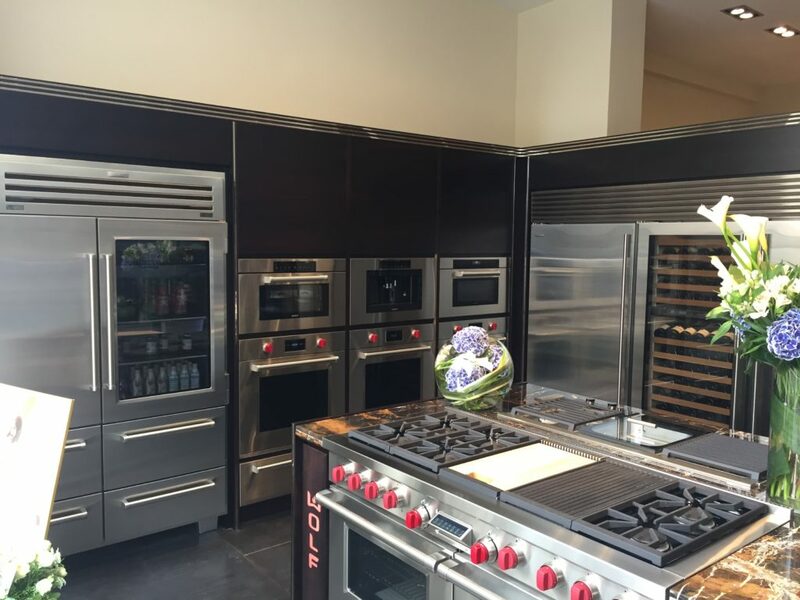 You can see the entire range from the classic 48′ range cookers to the newer 600 mm built in ovens brought in to compete with a part of the European market that previously the company were unable to cater for. 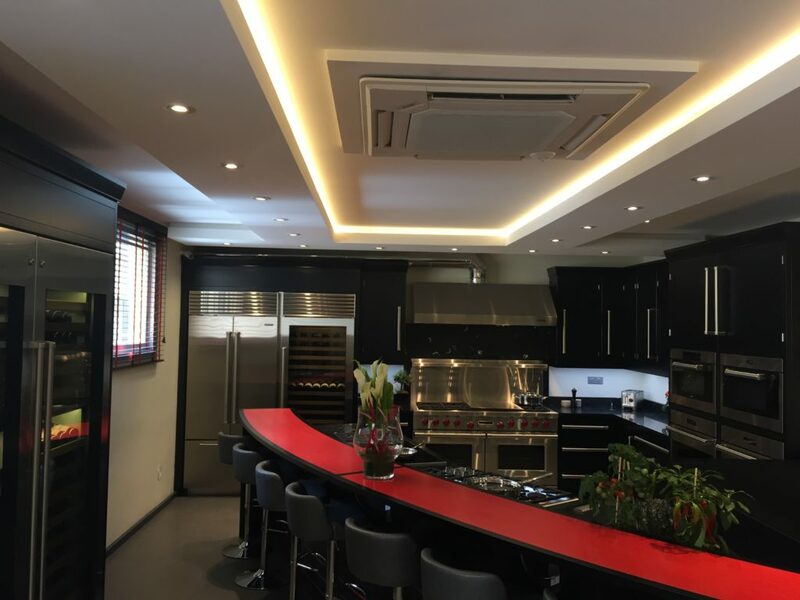 It’s also very clear that a lot of time has been invested in training the staff, who have an incredible knowledge of the appliances, which is impressive considering the breadth and depth of the range and incredible technologies that have been employed in their construction. All in all, a fantastic trip, and considering the accessibility to Cannes from the UK and the low cost of flying, there’s surely a reason to pay Charlotte and team a visit to have a demonstration of what are surely some of the best appliances on the planet set in some beautiful McCarron & Co furniture. Why not make a weekend of it, it’s a pretty enthralling place to visit, there’s certainly no shortage of volunteers back at McCarron & Co to make the next journey over! For more information about McCarron & Co bespoke furniture, please don’t hesitate to get in touch.